In the market for tough and reliable skid steers for sale? Today the Truck & Trailer team takes a closer look at CASE and the CASE Skid Steer Loaders. 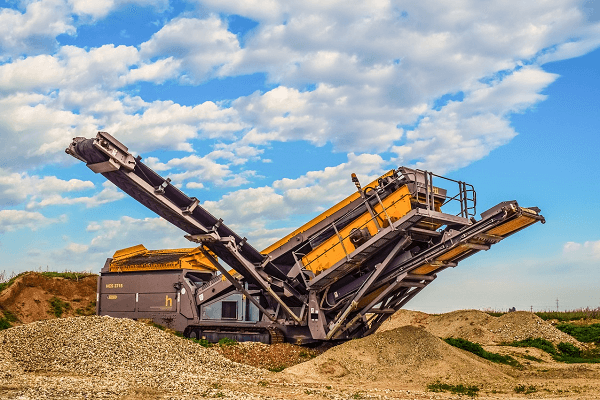 CASE Construction is known for its years of construction equipment expertise bringing you the equipment you need for any construction job across multiple industries. CASE has introduced its construction equipment throughout South Africa through multiple distributers and dealers for years. 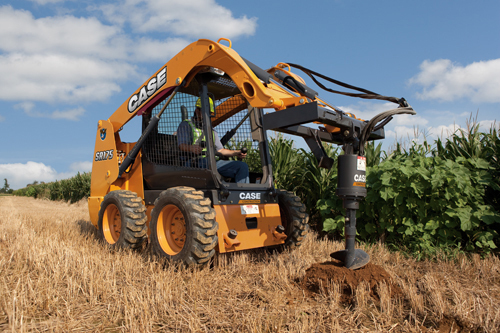 CASE excels notably in skid steer loaders. Image Source: Case Construction Website. A skid steer loader is a four wheeled highly manoeuvrable machine typically fitted with a bucket but can be customized with a variety of attachments making skid steers a very versatile machine to have. Its four fixed wheels make the skid steer loader very easy to move in tight spaces and agile, yet powerful enough to carry huge loads through any site. In the pursuit of maximizing productivity without spending hours on hard labour, the skid steer loader has been an essential invention to many industries from agriculture to construction. 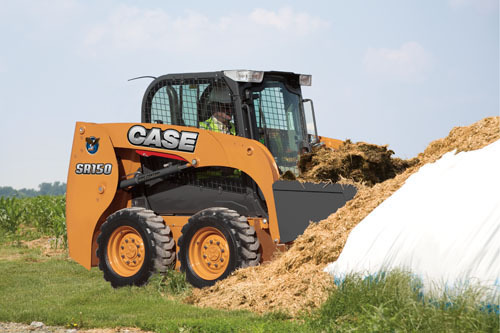 The CASE skid steer is engineered for maximum efficiency in your job. Skid steer loaders are highly versatile – it can be valuable on any job site from moving earth on a building site to moving soil on your farm. All CASE skid steers have ample room in the cab giving you ergonomically comfortable seats and controls including lights to help get you through your load – day and night. The CASE skid steer for sale is also highly serviceable. 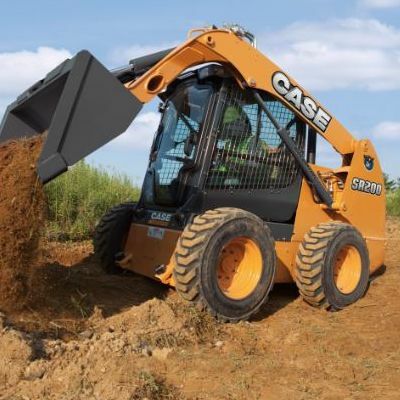 CASE has made easy access service points to allow you to easily maintain your skid steer loader so that it lasts for years. The large cab also allows for easy access for any internal issues that may arise. CASE builds its machinery with not only the job in mind, but you, the driver as well! Don’t forget to download the FREE Truck & Trailer Android App from the GooglePlay Store! The CASE SR175 skid steer loader brings you high performance through a powerful engine and breakout force without harsh emissions or a rough workaround. With a 67 horsepower engine load and a 790kg operating load, the CASE SR175 skid steers for sale are powerful machines. The SR175 Case Skid Steer Loaders have capacity to travel at 11.9kph at low range, standard. This skid steer comes with features such as cab air conditioning and heater, and safety features such as an emergency exit rear window, engine shutdown, and halogen operating lights. You’ll have plenty of headroom with a 1.97m cab and the industry’s widest cab. The quick-tilt cab also allows for increased visibility. The CASE SR175 is also equipped with CASE’s Power Stance wheelbase that gives this machine the capability to move large loads with agility and stability. The CASE SR130 is a compact yet powerful skid steer at just 1.2m high. The CASE SR130 was designed for smaller jobs without skimping on power. The SR130 has a rated operating load of 590kg and a 46hp engine and is bolstered by counterweights that boost its operating capacity to mediate between its small size and its powerful capabilities. The CASE SR130 skid steer can travel at 10.8kph at low range, standard. Standard on this CASE skid steer for sale are features including a padded seat bar and armrests, alarm package, emergency exit rear window, and halogen operating lights including a dome light. While smaller on the outside, this cab is one of CASE’s widest for maximum visibility and comfort. In the market for a skid steer? Create a Skid Steer Alert on Truck & Trailer and get the latest info and deals on skid steer loaders via email. Short and maneuverable, this uniquely designed CASE skid steer is perfect for getting around any job site with low overhead obstacles for maximum efficiency. The cab of this skid steer loader sits at just 1.92m, with a travel speed of 10.8 kph allowing it to manoeuvre under and around obstacles safely yet proficiently. The CASE SR150 has a rated operating load of 680kg and a 52hp engine, but its reliable 30/70 weight distribution along with its breakout force make it ideal for digging and pushing. The design of the CASE SR150 skid steer allows for a 360 degree view with its glass windows and featured side lighting. 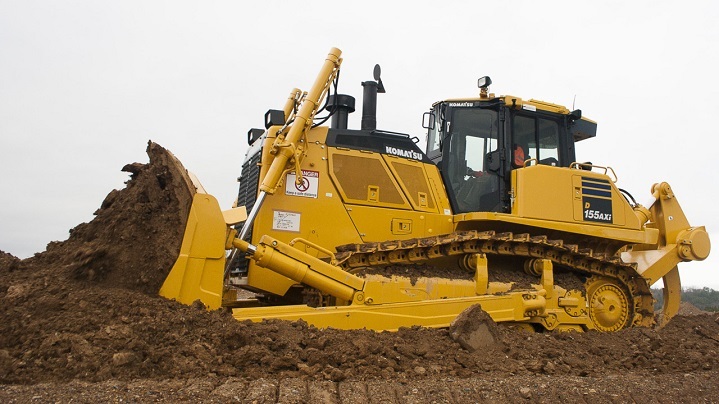 With a tough job, you need a machine that can stand up to the challenge. The CASE SR200 is one of the most powerful in the CASE SR range with an operating load of 905kg and a 74hp engine. These CASE skid steer loaders have outfitted this machine with not only a larger engine and fuel tanks, but it has adapted this skid steer to make sure that its might doesn’t overpower you. These skid steer loaders for sale offer fully sealed cab that is wide enough for your comfort but pressurized to keep out drowning noise, dust, and other irritants. The larger fuel tank means a longer running machine and a faster job. 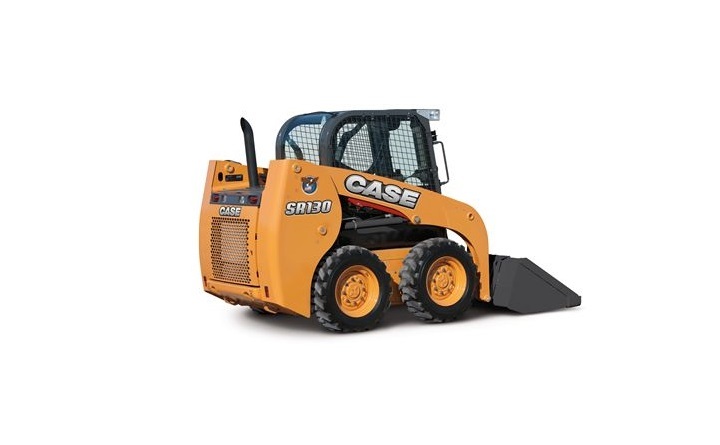 While prices for the CASE SR line of skid steer loaders vary, you can find skid steers for sale new from trusted CASE dealers, and trusted used CASE skid steer loaders for sale online at Truck & Trailer. Looking for a Case Skid Steer for sale? Create an alert for CASE loaders on Truck & Trailer and get all the latest deals and information sent to you via email. Type of job – do you need a skid steer for small spaces for building in the city or power on the farm? Knowing your purpose for buying a skid steer can save you from buying the wrong machine for the job. Attachments anyone? – If you simply need a skid steer loader for the bucket then the standard models should suffice for you. However, many of these machines come with optional attachments such as concrete mixers or a land plane for an added price. Used – if buying used, check the number of hours logged to gauge the use of the skid steer. Follow these tips and find the CASE skid steer loader that is right for your job! 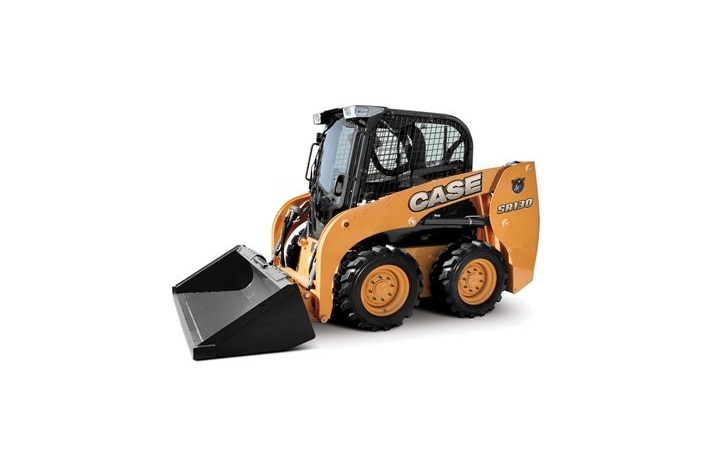 Looking for great deals on a CASE Skid Steer? Browse through the skid steers for sale on Truck and Trailer and find great deals online today! Hello I’m from Saudi Arabia and I have company and I need 8 pieces . How much it costs and how long it will take to be in Saudi Arabia!? Please note that Truck & Trailer is an advertising platform. We do not personally sell any of the items listed on the website. Please feel free to visit http://www.truckandtrailer.co.za to see what is available. When you find an item you are interested in, please contact the seller to discuss the details.